Stick Men is a unique power trio. Founded by legendary and still cutting edge bassist / Chapman Stick artist, Tony Levin, Stick Men continues to expand the horizons of modern progressive music. With the departure of fellow Stick artist Michael Bernier, Austrian touch guitar master, Markus Reuter, has joined King Crimson band-mates Levin and drummer Pat Mastelotto for one of the most impressive forays into modern music. 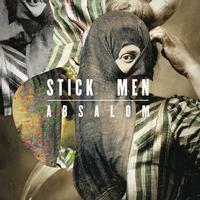 Absalom represents the first recorded portion of a planned longer CD release from Stick Men. My impression of Absalom is that with the first listen, you’ll likely immediately be drawn into the expansive diversity of styles, sounds, and textures spread through this highly enjoyable and musically advanced EP. I have been listening to this collection for several weeks, and I can only say that the songs are growing even more on me. Each listen gives the opportunity to hear a different relationship of sounds I hadn’t noticed on the prior listen. This is very, very good music of our era. I highly recommend this album. The song evokes an expansive layered lushness of sounds, then a strong Levin transition into Mastelotto’s hard driving groove. Reuter adds a beautifully executed melodic counter-play to Levin’s rich, dark edge. 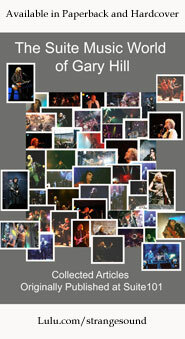 This is creative progressive rock at the boundaries of twenty-first century music. The legato section is reminiscent of a broad range of influences from the past three decades or so, and what a tour de force finish! A pulsing up-tempo bass line, layered touch guitar chords and a sonorous legato melody are laid over constantly shifting underlying rhythmic paradigms by both Levin and Mastelotto, who also give the number a quasi-funk feel. This piece opens with a Zeppelin-esque guitar pattern. Levin’s vocal melody line and the power chord doubling behind vocal octaves give the song both a classic and modern feel. Stick Men seem to be able to build on the broad range of modern rock and jazz of the most edgy progressive and boundary pushing varieties. Levin acknowledges his lack of attention to trends and popularity. He simply wants to make the greatest music he can. Who can argue with the quality of hard rock progressive music like this particular song? Cosmic, sonorous playing, a shuffle beat and driving ambience are played from the outset.. The spoken vocal line is mysterious, serene, and comfortable - even transcendent. I like the ambient jazz richness of this song. It’s very beautiful and makes it impossible not to want to give it many more spins. A prog rock beat and an interesting vocal line hook are delivered in solid fashion. The Chapman Stick’s bass line ranges through a creative sequence of evolving arpeggios. The counter-rhythms are played by Stick Men against a neo-rock melody line. This is one of the better new songs I’ve heard in quite awhile. The final selection begins with ethereal chords and textures against a backdrop of nearly subsonic bass lines and accented electronic drums, plus standard traps and buttons. The mezzo-forte percussive grooves are quasi-techno in quality, but with the dynamic range of what one might expect in a piece of such deep mystery. Mastelotto’s active playing is perfectly controlled and executed. Reuter’s cosmic energy is clearly heard through the touch guitar. Levin’s counter-motion delivery introduces a new vibe against the same backdrop. It creates a distinct counter-rhythmic energy to the end of the song.